Once the dust from your child custody litigation has (mostly) settled, the area of greatest potential conflict could be the child custody exchange. Having to see your ex-partner, especially if they are a high-conflict personality, only serves to bring to the surface all of the acrimony that led to the demise of the relationship and the ensuing fights. No shows and custodial interference, cell phones ringing incessantly the moment you’re mere seconds late, cursing and vulgarities and other negative talk (or yelling) in front of the children – all rather common occurrences. It can also be a scene that could lead to false allegations of domestic violence or worse – actual violence. The bottom line is that no matter who is right, who is wrong, who is calm, and who is out of control – there is a child or children sitting there bearing witness to the rather “unadult” behaviors on the part of one or both parents. 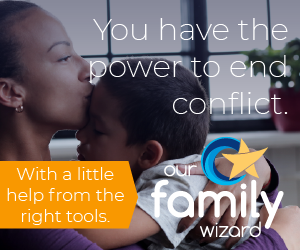 What can you do to help dramatically reduce or even eliminate the potential for drama at child custody exchanges? Lots! Our penchant for choosing a “#1” method comes into play here. That method is to eliminate face-to-face exchanges if at all possible. The easiest way, with school age children especially, is for one parent to drop-off a child at school on the child custody exchange day and the other parent picks the child up from school on the child custody exchange day. Face-to-face confrontations are eliminated under such an arrangement. There is no opportunity for a child custody exchange confrontation. Even if the children are not of school age – when daycare arrangements are in play, the same methodology can be used there, too. Bring a video camera. I urge caution depending upon the laws in your particular state when it comes to recording discussions between parties. Still, videotaping the parties without recording the conversation is usually enough to keep heads cool when the presence of the children just isn’t enough. Make child custody exchanges take place at a very public, highly visible, neutral location. If possible, have that specific neutral location be entered as part of the court’s child custody order. If there are threats of violence, ask for a police officer to be present at the child custody exchange. If the threat is documented, provide the police with the evidence (email, voice mail, etc.) to help convince the police that this situation legitimately warrants their presence. If your children are old enough and child custody exchanges must be made at the other parent’s home, remain in the vehicle at the curb and allow the children to exit the car and go into the home. Require the same of the high-conflict ex-spouse at your home as well. Of utmost importance is your ability to remain calm, cool, and collected. Under no circumstances are you to contribute to an escalation, lose your temper, yell, use foul language, or otherwise carry on in front of your children. Your task is to gather or deliver the children as efficiently as possible in the least amount of time and with zero interaction with your ex-partner. Do not allow yourself to be dragged into a dramatic exchange with your ex. You never know when he or she has set things up to demonstrate that you are the out-of-control, high-conflict parent. Keep your emotions in check at all times. If the conflict is not reduced despite your best efforts and you’ve gathered enough tangible evidence of abusive behavior at child custody exchanges – prepare to bring a motion for contempt-of-court. Outbursts and conflict in front of the children at child custody exchanges will violate even the most boilerplate of parenting agreements or child custody orders – as such behavior is prohibited in most orders. These steps are only a few very effective ways to help you contribute to de-escalating conflict during your child custody exchanges. Always remember to be on your best behavior. The children will recognize who is the calm, appropriate parent, and will be able to count on someone to remain calm under any stressful conditions. Can family courts order exchanges take place on private property or parking lots that belong to private businesses? If they can, how is this not a violation of the Fourth Amendment? We live in a neighborhood that has a small grocery store across the street, and custody exchanges take place there every week, and many become loud and argumentative, and we hear it and see it from our homes. Our city has an Ordinance that absolutely states that business parking lots are for the purpose of conducting business at that store, and then you have to leave in a timely manner. Last Christmas when the store was closed, I had to go across the street to break up a fight between two custodial parents exchanging their children. It was loud, honking horns, swearing, threats…and all at close to midnight on Christmas Day. I calmed them down, pointed to the homes and the families watching their gross misbehavior, and they apologized and both parties told me the court ordered the exchange to take place in that parking lot. I don’t want these exchanges in our neighborhood, they’re disruptive and potentially violent.